What better way to spend a Labor Day weekend than riding some fresh vert terrain? Affirming said strategy is this week’s Monday Cover skater, Mark Conahan, with his always styling frontside airs. 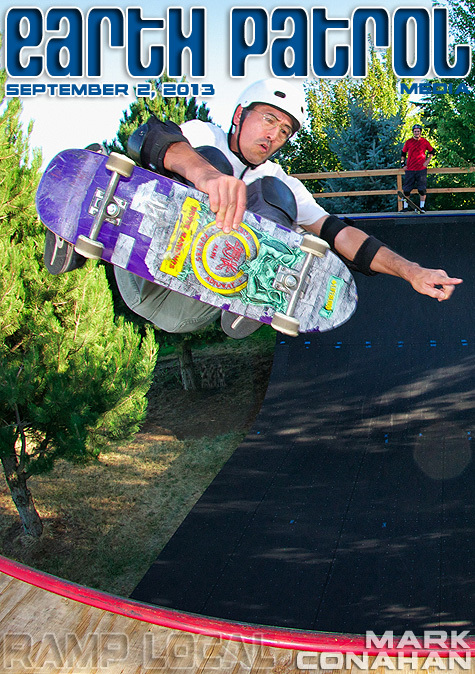 Mark was jumping with joy at the chance to ride a sweet vert ramp. Don’t believe it? We have the proof after the turn. EPM “labor to shred and shred to labor” Out! A palindrome it is not but for skaters in Southeast Portland, this week’s Monday Cover skater, Colin Sharp, has given the community a bit of skate solace. Like Theodore Roosevelt, Colin had a vision and found the means to make it happen. 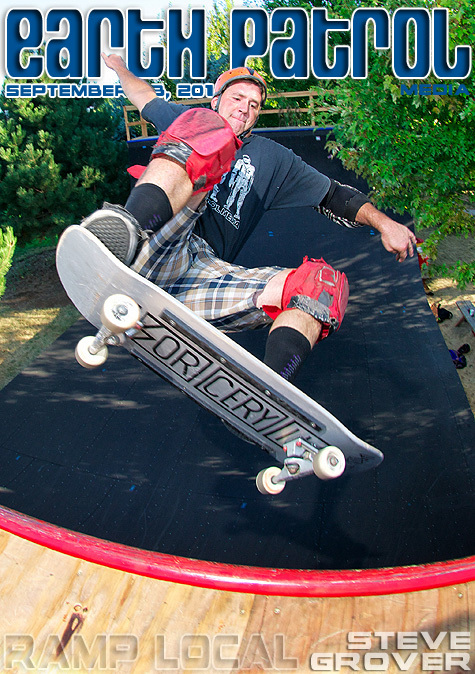 Unlike Theodore Roosevelt, Colin can snap a mean ollie. So in honor of Colin and all that he gives to the Portland skate community, a big thank you. 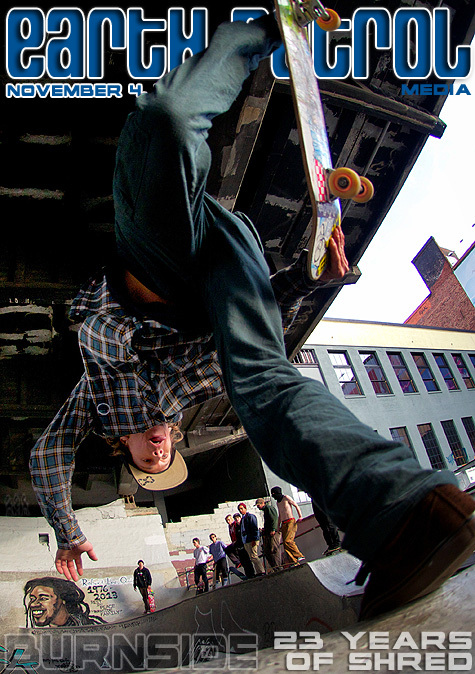 Check out a few more pics of Colin about the Brooklyn Street skate spot after the turn. This week’s Monday Cover skater, Tim Bowers, rocks the red, white and blue while finessing a fakie ollie to smith stall at the Treasure bowl. Tim was “all in” during last year’s ten year anniversary of the Treasure bowl. Good times and great skating. Keep the stoke flag flying! Check out a few more pics of Tim after the turn. Who is this mighty skating man? Why, it’s none other than this week’s Monday Cover skater, K.C. Cote, mid-monty stall at Estacada. Just sit right back and you’ll see a tale, a tale of a skate trip. It’s a tiny adventure to Estacada to skateboard about the lip. Check it after the turn. Truck on out and spread the news! 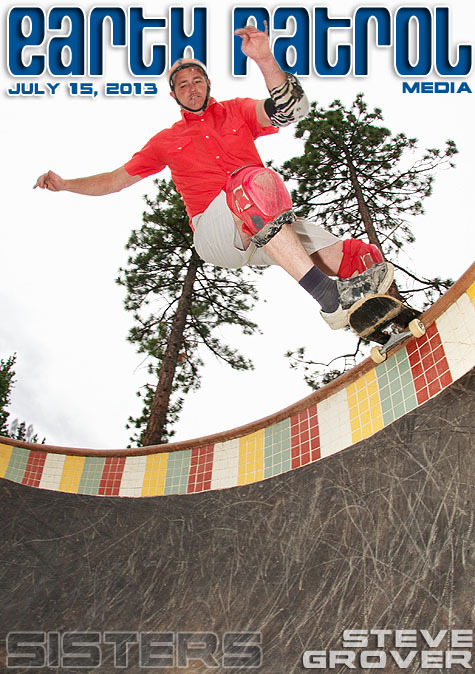 It’s this week’s Monday Cover skater, Steve Grover getting a little rock-n-roll hoochie koo in the Sisters pool. 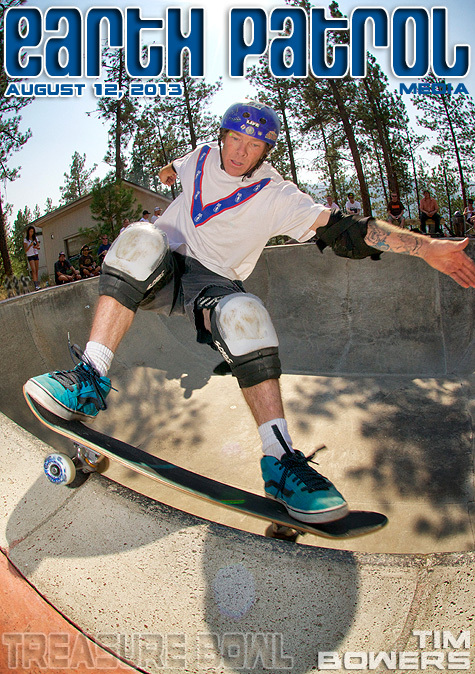 A broken left arm doesn’t stop old Steve from doin’ the concrete boogie. Check out a few more pics of Steve after the turn. 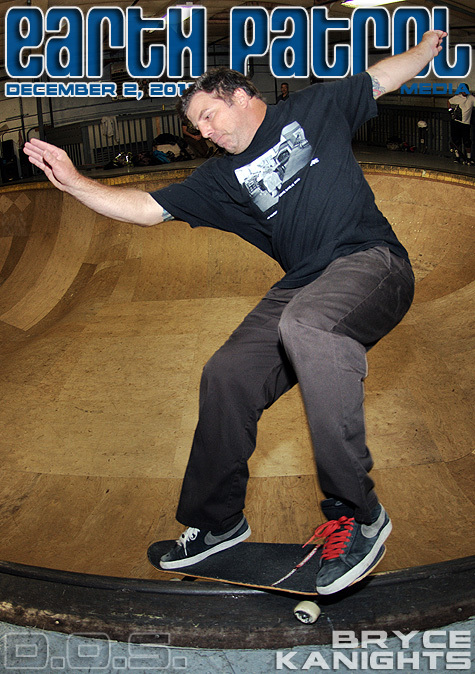 Rocking the shallow hip in the amoeba at Lincoln City, is this week’s Monday Cover skater, Mark Conahan. That’s one rough old cob; we’re talking about the pool. 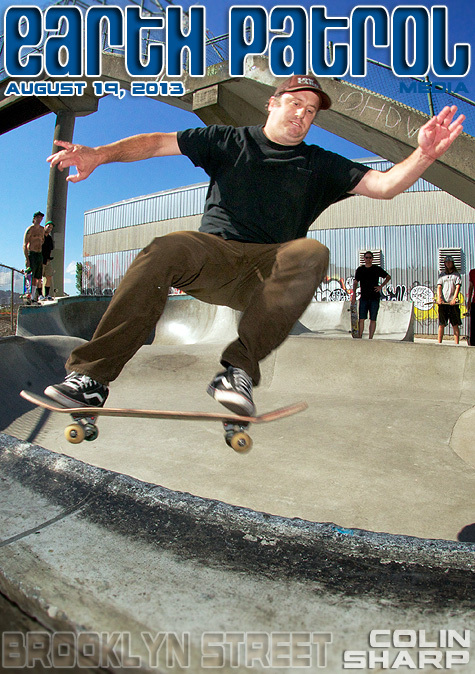 Although the surface is a bit weathered, this pool is still a blast to skate. Check out a few more pics of Mark sampling this tasty morsel after the turn.